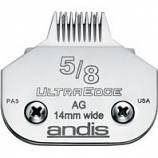 • Blade Fits Andis Animal Clippers For Very Close Cutting. 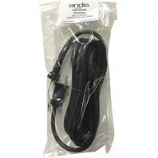 • Also Compatible With Oster Model A5. 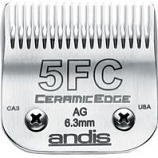 • Size 40 High Carbon Steel Surgical Clipper Blade. Heavy-duty horse & cattle clipping. 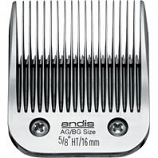 Stewart by oyster clip master blade fits the Andis heavy duty cattle and horse clipper for general purpose clipping. • Perfect For Light Duty Touch Ups. • Break-Resistant Housing and A 14 Heavy-Duty Cord Prove It Sa Rugged Tool For Daily Use. 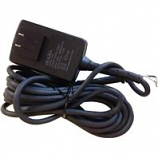 Fits models AGC Clippers 2 Wire Attached Cord. . . . . Fits models SMC clippers. . . . .
7 in one-Coolant Deodorizer Lubricant Cleaner Rust Preventative Vitamin E Enriched Human/Animal Eco-Safe Formula. 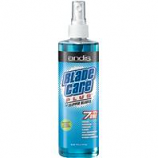 Blade care plus is formulated for use by Hair Stylists Barbers Animal Groomers and Veterinarians. Washes away hair and buildup. . .
Advanced ceramic formula runs cooler than steel and stays sharper. Made in the USA. . . .
Advanced formula ceramic. Long lasting edge. Stays cooler. Made in the USA. .
Advanced formula ceramic. Long lasting edge. Stays cooler. Made in the USA. Leave hair 1/8-3.2mm. Advanced formula ceramic. Long lasting edge. Stays cooler. Made in the USA. Leaves hair 1/50-.5mm. Advanced formula ceramic. Long lasting edge. Stays cooler. . .
Carburized steel extends edge life. Chrome finish resists rust. Leaves hair 3/4 19mm. . .
Carburized steel extends edge life. Chrome finish resists rust. Leaves hair 1/32-.8mm. Made in the USA. .
Carburized steel extends edge life. Chrome finish resists rust. Leaves hair 5/8 16mm. . .
Carburized steel extends edge life. Chrome finish resists rust. Leaves hair 3/16-4.8mm. Made in the USA. .
Carburized steel extends edge life. Chrome finish resists rust. Leaves hair 1/100-.25mm. Surgical Stainless Steel. .
Carburized steel extends edge life. Chrome finish resists rust. Leaves hair 7/64-2.8mm. 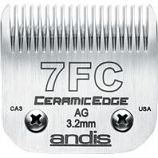 Made in the USA. .
Electro-glide technology blade coating feeds hair smoothly and reduces corrosion. 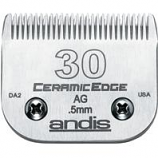 Special cutting blade reduces track marks. Leaves hair 1/4 6.3mm. Made in the USA. .
Electro-glide technology blade coating feeds hair smoothly and reduces corrosion. 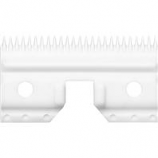 Special cutting blade reduces track marks. Leaves hair 1/8 3.2mm. 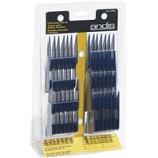 Made in the USA. .
8 piece large comb set. 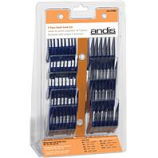 Works best with blades sizes 40 35 30 and 10. . . .
9 piece small comb set. 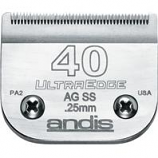 Works best with blade sizes 40 35 30 and 10. . . .
• Hang Or Store Your Clipper With The Blades Down To Prevent Excess Oil From Entering The Clipper Body.